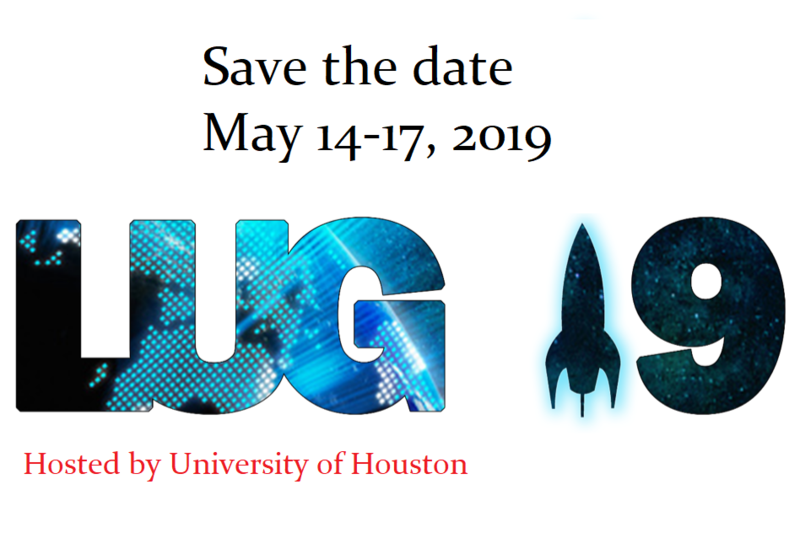 Here at the Core facility for Advanced Computing and Data Science (CACDS) we are striving to enhance the High Performance Computing (HPC) expertise and resources available to the University of Houston community. Our expert and friendly staff help UH researchers by offering free consultation and training. Graduate students are especially welcome. 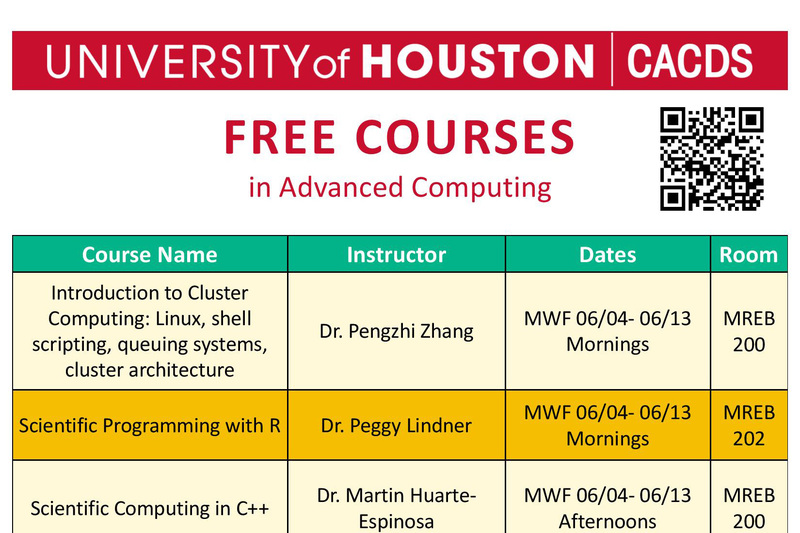 Throughout each semester, staff members teach classes at various levels on many different aspects of HPC - all free to UH faculty, staff and students. They meet one-on-one with anyone interested in improving the performance of their codes, looking for new algorithms or seeking help to implement them. CACDS also hosts events, seminars, and workshops related to HPC topics. Contact us and let us help you enhance the performance of your codes. The Opuntia cluster and the new state of the art Sabine cluster are now available. Applying for an account is a first step toward your scientific computing future. Contact us for questions regarding support for scientific computing. We welcome students who want to enhance their educational journey with HPC training.. The FREE spring courses by CACDS are now open for registration. Please reserve your spot early as there are limited seats. You can register for the courses by visiting our course management site. Registration is now Open. Please register before April 15 for early bird rates.